Creatine is a hugely popular muscle building supplement due to its ability to improve stamina and endurance as well as muscle growth and development. A widely studied nutrient it has been found to be both safe and effective for muscle builders and athletes. Creatine is a nitrogenous organic acid that helps supply energy to all cells in the body, primarily muscle. It is naturally produced in the liver and kidney from the amino acids arginine, glycine and methionine. From here it is transported in the blood to be used by the muscles. Around 95-98% of creatine found in the human body is in skeletal muscle. Due to its ability in muscle development many bodybuilders take creatine supplements to support their growth gains. When you take creatine it is converted to creatine phosphate in the body which in turn produces ATP. ATP is very useful to bodybuilders as it provides energy for muscle contractions. ATP is however a quick energy source and is depleted in under 15 seconds. At this point the creatine continues to produce ATP until it itself is depleted fully. This is how creatine supplementing can help you squeeze out more reps or use more weight when working out. The basic role of creatine is to provide energy to your muscles and increases cell volume. The above explains how it provides additional energy to your muscles to help you work out harder resulting in increased muscle. Creatine however can also increase muscle size another way. The use of creatine results in muscle cells being flooded with fluid making them larger. The benefits of creatine include increased power, stamina and faster training recovery. This means you can pump out those extra reps in the gym and use more weight. Combining this with a good solid nutrition plan for recovery and you will benefit with lean muscle gain. In terms of nutrition creatine is found in meat and fish. As it can be made from the amino acids arginine, glycine and methionine intake of foods high in these can also be beneficial. However the best way to get extra creatine into your diet is by using supplements. There are many different recommended amounts and conflicting views on how much creatine to take. Extensive research has shown that 5g-20g per day is a safe and effective amount. However each product is different and so advice would to be follow the manufactures instructions. It is recommended that to quickly feel and see the effects of creatine supplementing it is best to go through a loading phase followed by a maintenance stage. The loading phase is advised to last about 5 days where you take a higher intake of creatine in order to saturate the muscles. This should then be followed by a decrease in the dose per day for a longer period of time. Studies have shown that a loading phase dramatically increases levels of dihydro-testosterone. Loading and maintenance phase’s directions will be given on the product you purchase. It is important to follow this as each product has different serving sizes and other variables. So avoid general advice. It is thought that if you continue to use creatine supplements your body may get lazy and stop manufacturing its own supply, Therefore many theories have surfaced as to how to cycle it. Some don’t believe in cycling. To be on the safe side I would suggest cycling. However you may need to test the on off stages that work best for you. Try 4 weeks on 2 weeks off, 6 weeks on 3 weeks off or 8 weeks on and 4 weeks off to see what works best for you. 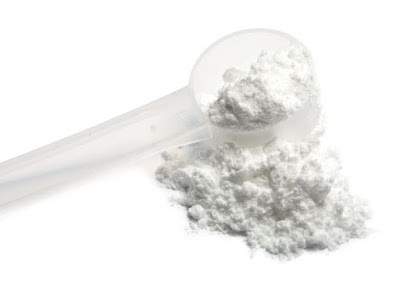 There have not been any studies that have found any side effects from creatine supplementing. Other than the ones you want such as muscle gains. However it is advised that if you can a pre-existing condition in the liver or kidney then you should not take any form of creatine supplement. It has also been noted that you should stay hydrated throughout the course by drinking plenty of water. Creatine takes water into the cells and can leave you dehydrated. This dehydration will make itself known in the form of muscle cramps. As always seek medical advice before supplementing or starting an exercise plan. Creatine can be hugely beneficial to anyone who wants to build muscle. This is why many bodybuilders will swear by it and also have a supply in the gym bag. Remember to stay hydrated and follow the manufactures advice on the product in order to stay safe. Combine creatine supplements with intense weight lifting and a good diet and you will experience the benefits of lean muscle gain.